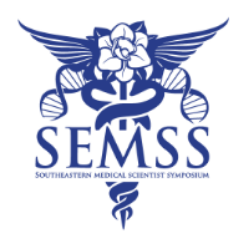 The Southeastern Medical Scientist Symposium (SEMMS) first took place in 2010 at UAB in Birmingham, Alabama. 2011 featured an exciting meeting at Emory University in Atlanta, Georgia. In 2012, the symposium was held at Vanderbilt University in Nashville, Tennessee. Feel free to browse the programs from each of our meetings! The inaugural SEMSS was hosted by the University of Alabama at Birmingham and held in Birmingham, AL and featured Keynote speakers Dr. David Standaert, Dr. Roger Cone, and Dr. Richard Whitley. In 2011, SEMSS was hosted by Emory University and held in Atlanta, GA and featured Keynote speakers Dr. Marie Csete, Dr. Jacques Galipeau, and Dr. Denise Koo. SEMSS 2012 was hosted by Vanderbilt University in Nashville, TN and featured Keynote speakers Dr. Kenneth Brigham, Dr. Mia Levy, and Dr. Chris Willey. The theme of the symposium was personalized medicine. SEMSS 2013 saw the return of the symposium to its founding location in Birmingham, AL. The University of Alabama at Birmingham hosted over 150 attendees and the symposium featured three unique themes throughout, which included Grant Writing, Career Training, and Beyond the Quantifiable, as well as sessions designed for Undergraduates. Keynote speakers included Drs. David Allison, Jyothi Rengarajan, and Bert Shapiro. SEMSS 2014 was held in Atlanta, GA at both Emory University and Georgia Tech. The symposium featured keynote speakers Dennis Liotta and Linda Cendales, as well as a diverse array of breakout sessions and student poster presentations. For the first time, SEMSS joined forces with the inaugural Healthcare Hackathon organized by Forge and attendees got to hear exciting Hackathon pitches and keynote speeches by Christian Larsen and Nate Gross. Vanderbilt University, in Nashville, TN, hosted the 2015 SEMSS meeting. The overall theme of the meeting focused on career development, and featured keynote speakers James Hildreth, the President and CEO of Meharry Medical College, and Ellen Clayton, the Co-founder of Center for Biomedical Ethics and Society. SEMSS 2016, in its 6th year, in conjunction with the first annual PSS (Physician Scientist Symposium) returned to its founding location at the University of Alabama at Birmingham. The symposium provided a weekend of networking and career development workshops. Keynote speakers included Steven M. Rowe, Director, Gregory Fleming Cystic Fibrosis Research Center at UAB, Robert Satcher, astronaut and Assistant Professor in Orthopedic Oncology, Division of Surgery at The University of Texas MD Anderson Cancer Center, and Anna Han, NIH Senior Behavioral Scientist and Policy Advisor. Funding for these conferences were made possible in part by NIH R13GM109532 from the National Institute of General Medical Sciences, a component of the National Institutes of Health. The views expressed in written conference materials or publications and by speakers and moderators do not necessarily reflect the official policies of the Department of Health and Human Services; nor does mention by trade names, commercial practices, or organizations imply endorsement by the U.S. Government."